This edition of MRM’s Daily Bite features Epson, McDonald’s, Tim Horton’s, HotSchedules and Sprinkles, sbe, RCP Companies and Southern Fried Hospitality, Gen3 Hospitality and Elephant Bar, FoodLogiQ and Digital Signage Expo. 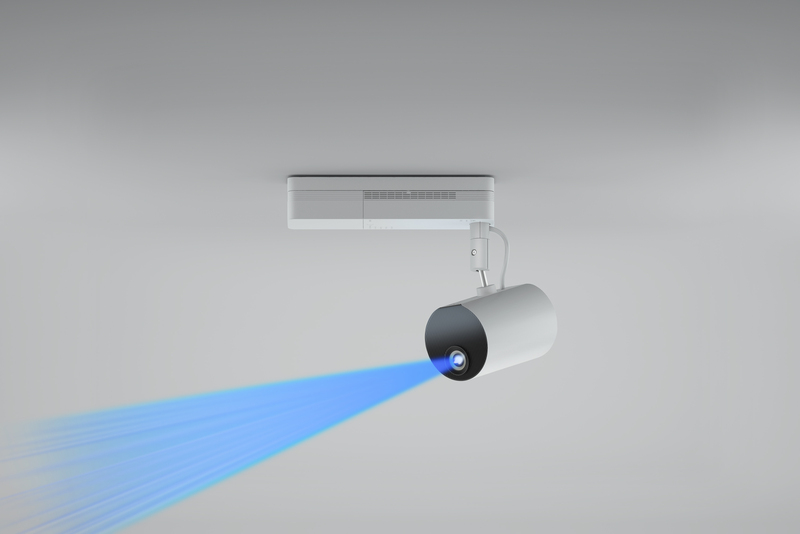 Epson introduced LightScene™ – a new category of accent lighting laser projectors for digital art and signage. 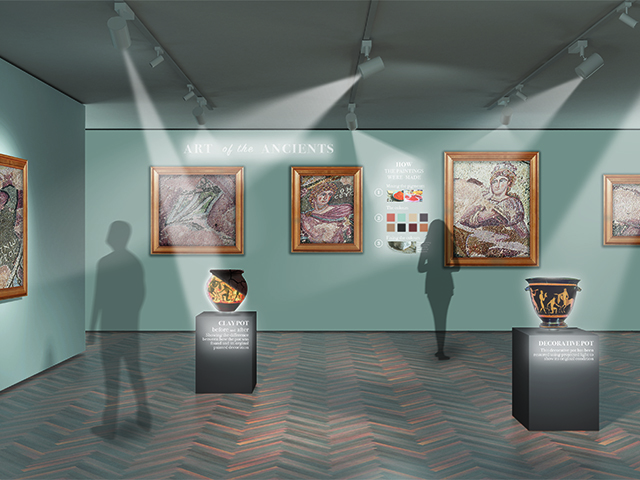 LightScene is designed to simultaneously illuminate and project dynamic content on virtually any surface or material to engage audiences and provide an immersive experience for commercial signage applications in markets such as retail, hospitality, showrooms and museums. “Consumers crave memorable and engaging experiences. Display technology is changing the way consumers interact with brands and products, from the ease at which they are able to receive information to the way they digest an abundance of content,” said Remi Del Mar, senior product manager, Epson America. 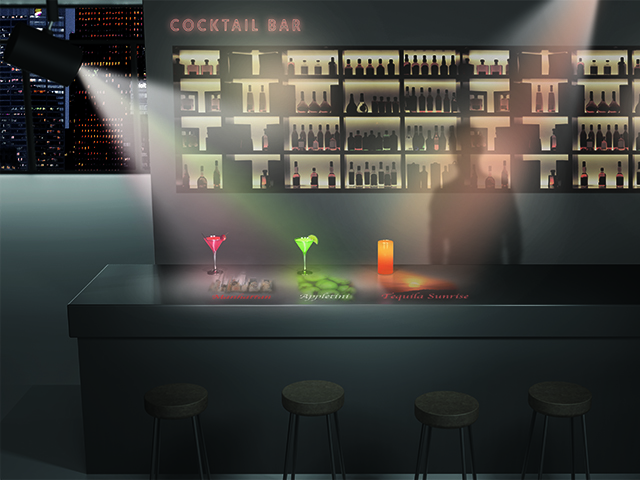 “The new LightScene laser projector category will provide solutions to businesses creating captivating, immersive environments to engage customers with their product or brand, without impacting the overall atmosphere. With two models available in a sleek, spotlight form factor – LightScene EV-100 in white and LightScene EV-105 in black – the laser projectors blend in discreetly and offers an array of configuration, mounting and programming options. The technology offers the best of both worlds – beautiful displays and unobtrusive visuals – while providing performance, versatility or reliability. Epson teamed up with designers from London, New York and Tokyo to showcase examples of how LightScene brings retail and hospitality exhibitions to life. These examples will be showcased in Epson’s booth at DSE, along with ideas and design concepts from U.S. design agencies such as All of It Now. The Epson LightScene projectors will be available May 2018 for $2,499 (MSRP). The laser projectors come with a limited warranty of three years or 20,000 hours, whichever comes first, and next business day replacement, including free shipping both ways4. McDonald’s Corporation will allocate $150 million over five years to its global Archways to Opportunity education program. This investment will provide almost 400,000 U.S. restaurant employees with accessibility to the program as the company will also lower eligibility requirements from nine months to 90 days of employment and drop weekly shift minimums from 20 hours to 15 hours. Additionally, McDonald’s will also extend some education benefits to restaurant employees’ family members. These enhancements underscore McDonald’s and its independent franchisees’ commitment to providing jobs that fit around the lives of restaurant employees so they may pursue their education and career ambitions. The Archways to Opportunity program provides eligible U.S. employees an opportunity to earn a high school diploma, receive upfront college tuition assistance, access free education advising services and learn English as a second language. Crew: Eligible crew will have access to $2,500/year, up from $700/year. Managers: Eligible Managers will have access to $3,000/year, up from $1,050. Participants have a choice for how they apply this funding – whether it be to a community college, four year university or trade school. There is no lifetime cap on tuition assistance – restaurant employees will be able to pursue their education and career passions at their own pace. The new tuition assistance is effective May 1, 2018 and retroactive to January 1, 2018. Lowered Eligibility Requirements: Increase access to the program by lowering eligibility requirements from nine months to 90 days of employment. In addition, dropping from 20 hours minimum to 15 hours minimum (roughly two full time shifts) per week to enable restaurant employees more time to focus on studies. Extended Services to Families: Extension of Career Online High School and College Advisory services to restaurant employees’ family members through existing educational partners Cengage and Council for Adult and Experiential Learning (CAEL). Additional Resources: Career exploration resources for eligible restaurant employees to be available later this year. Creation of an International Education Fund: Grants to provide local initiatives and incentives in global markets to further education advancement programs. After launching in the U.S. in 2015, Archways to Opportunity has increased access to education for over 24,000 people and awarded over $21 million in high school and college tuition assistance. Graduates have received college degrees in Business Administration, Human Resources, Communications, Accounting, Microbiology and more. 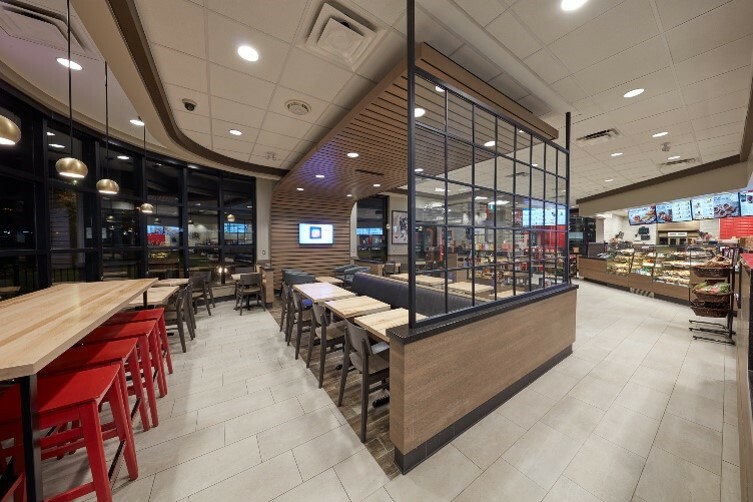 Tim Hortons® revealed its revitalized Restaurant design that provides Guests with a modernized Restaurant experience. The new Welcome Image is a part of Tim Hortons® focus on always striving to improve the guest experience, through a more contemporary restaurant environment, premium quality coffee and food, and new creative ways to connect with guests. 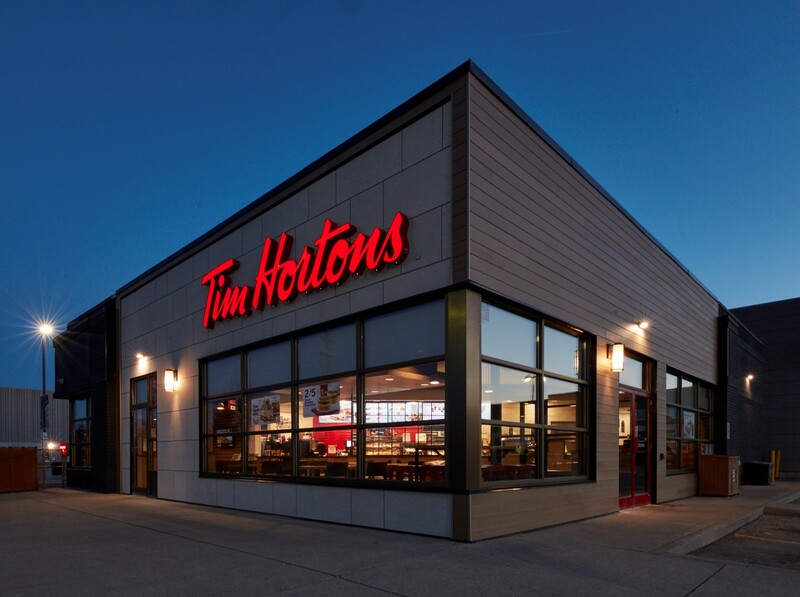 Together, with restaurant owners, Tim Hortons® will invest C$700 million to bring the Welcome Image to a majority of Canadian Tim Hortons® Restaurants over the next four years. As part of the new image, the exterior will be designed with natural looking, lighter, and more inviting materials. Inside, Restaurants will be decorated with artwork that reflects Tim Hortons® values and history – including a commissioned portrait of Tim Horton, a mosaic of iconic brand images and a photo wall that features Tim Hortons® unique coffee-sourcing and proprietary blending process. 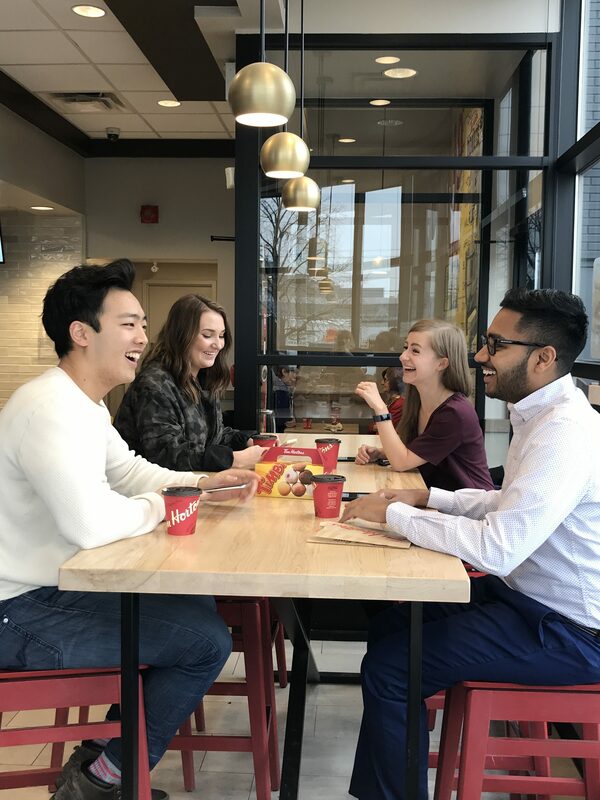 Guests will also enjoy upgraded, open concept seating that fosters the sense of community at the core of the Tim Hortons® brand. Sprinkles has selected HotSchedules as its learning and performance management technology partner. The decision comes on the heels of an overall assessment of Sprinkles’ workforce solutions. Clarifi Talent Development was a clear choice because of its integration with HotSchedules Labor – an advanced forecasting, scheduling and labor management solution the company has been using since 2013. “The Sprinkles team selected HotSchedules’ Clarifi Talent Development to support our companywide effort to create a social learning platform that fosters communication and collaboration across the organization – from corporate departments to Bakery managers to hourly associates,” said Kristin Burk, Talent Development Consultant at Sprinkles. “The social engagement within ‘The Camp’ (the Sprinkles-branded learning academy) was strong from the moment we invited our teams onto the platform. Within days, our managers and associates were sharing videos, photos, and personal stories on the social feed,” Burk added. “We’ve uploaded tons of meaningful content, company documents, and several micro-learning videos to build out our robust library. Managers love how easy it is to find what they need – no one is doing the library and search function better than Clarifi Talent Development,” said Ashley Leonard, Training Managers, Sprinkles. The Sprinkles’ HR, marketing and training departments are united to continue to deliver a social network where all 1,000 associates can share their wins, show how they are getting their jobs done, and inspire each other all while taking the training courses they need across all 24 stores. Clarifi Talent Development provides a modern user interface to help Sprinkles set the tone for social learning and engagement. Now that associates and managers are actively logging in to share with their colleagues and find content they need, the training team is focused on developing and launching job-specific courses, and excited about automatically assigning those courses to new associates through the single sign-on integration with HotSchedules. Cleo Mediterráneo, the acclaimed Mediterranean culinary concept from Chef Danny Elmaleh and sbe’s Disruptive Group, today announced the opening of its first Middle East location at The Avenues in Kuwait City in partnership with M.H. Alshaya Co. This is the first of five Cleo restaurants to open across the Middle East, with the second outpost slated for early 2019. Cleo The Avenues, which officially opened on March 22, features 168 seats and will retain Chef Danny Elmaleh’s signature contemporary Mediterranean cuisine with an added local flavor. 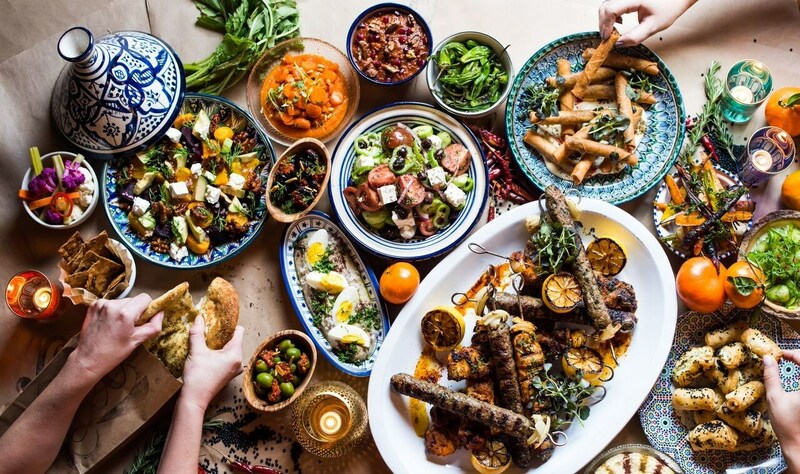 The menu celebrates ingredients and cultures of the eastern and southern Mediterranean, putting a spotlight on Cleo favorites including Brussels sprouts, spicy cigars, and other shared plate favorites from babaganoush to crispy artichoke hummus enjoyed on fresh baked Taboon bread. Over the last few years, sbe has seen success with five Katsuya restaurants throughout the region, with an additional six more in the pipeline. Additionally, sbe is close to announcing a strategic partnership in UAE for Umami Burger, its leading premium burger brand, and is in active discussions to launch Umami in Qatar and Bahrain. sbe’s hotel brands are also on the cusp of significant growth in the Middle East region, whose momentum began with the October 2017 debut of the highly-anticipated Mondrian Doha. Boasting exceptional designs by Marcel Wanders, Mondrian Doha features eight culinary and entertainment venues, including Magnolia Bakery, Morimoto and CUT by Wolfgang Puck. Next, sbe has plans to open Delano Dubai in late 2018 with Mondrian Dubai and SLS Doha following in 2019, and Hyde Doha in 2020. RCP Companies is partnering with Southern Fried Hospitality to provide both hospitality management and restaurant development services at the company’s master-planned, mixed-use communities currently under development in Huntsville, Alabama. Under the leadership of Executive Chef Marc Taft, the Atlanta-based company will partner with RCP Companies to provide hospitality services at both MidCity, currently the city’s largest mixed-use development and the nation’s 4th largest commercial real estate project; and CityCentre, a $100 million, mixed-use development in the city’s rejuvenated urban core; both currently under construction. Southern Fried Hospitality is owned and led by Marc Taft, an award-winning chef and seasoned hospitality executive – who happens to be an Alabama native. Southern Fried is also known for Brine Seafood Shack at Avalon in Alpharetta, Ga.; FEED – Fried Chicken + Such at The Battery at SunTrust Park in Atlanta; along with CO-OP Community Table + Bar and Best Burger, two new concepts debuting next year at HALCYON in Forsyth County, north of Atlanta. Initial Southern Fried plans for MidCity include two to three chef-driven concepts for The Camp, a music and arts outdoor entertainment venue that launched last summer. Taft and his team will open and manage additional restaurants throughout the mixed-use development, including a food hall that will align with regional and national concepts already lined-up at MidCity. At CityCentre, Southern Fried is expected to open several concepts adjacent to and inside the AC Hotel as well as a 12,000-square-foot artisanal culinary market, both of which will showcase Taft’s approach to southern delicacies. “We intend to infuse the food hall craze with our unique approach to food and flavors of the South and introduce it to Huntsville’s culinary scene,” says Taft. One aspect of Taft’s chef-driven restaurants to remain consistent is their dedication to bringing only the finest sourced ingredients to the table, whether it is sustainable seafood outlined by the Monterey Bay Seafood Watch at Brine Seafood Shack; hyper-local ingredients found at Chicken and the Egg; fresh local poultry at FEED Fried Chicken or freshly ground burgers at Best Burger. Located on Williams Avenue between Monroe Street and Lowe Avenue, CityCentre is slated to include 40,000 sq. ft of retail and restaurant and 10,000 sq. ft. of commercial space surrounded by 270 upscale apartment homes and a 125-key AC Hotel. MidCity is a $350 million redevelopment at the 140-acre site of the former Madison Square Mall with plans for 345,000 sq. ft. of street-level retail and dining, 200,000 sq. ft. technical and creative office space, 500 hotel rooms and 900 residences. The development is situated at the intersection of two of Huntsville’s primary commercial corridors – University Drive and Research Park Boulevard. In a move that adds a new concept to its portfolio of diverse and independent restaurants, Las Vegas-based Gen3 Hospitality has taken over management of the Elephant Bar brand and its seven locations in Nevada, California, and New Mexico. The Elephant Bar assets were recently purchased by Coast to Coast Entertainment, Inc through its subsidiary BA Bar, LLC. The acquisition preserves the storied Elephant Bar brand and its family of more than 500 employees, with the goal of reinvigorating the chain’s beloved aspects and introducing new customers to its globally inspired cuisine. Las Vegas-based management consulting firm Joseph Beare & Company served as an advisor and strategic partner to Coast to Coast Entertainment, Inc. and Gen3 Hospitality during the acquisition. FoodLogiQ raised $19.5 million in growth financing to accelerate its rapid expansion across the food industry. The round of financing includes strategic investors Testo, Inc., a global provider of HACCP solutions and IoT technology, and Tyson Ventures, the corporate venture subsidiary of Tyson Foods, along with Pontifax AgTech, a pioneering growth capital investor in food and agriculture technology, Nicola Wealth Management, a Canadian-based asset fund management and private investment counsel firm, and Greenhouse Capital, an investor in emerging businesses that promote health and sustainable living. The round was led by Renewal Funds when the mission-based venture capital firm invested in FoodLogiQ in September 2017. The funding will be used to accelerate product enhancements, research and development and expanded sales, marketing and customer success. The company has a customer base that includes Buffalo Wild Wings, CAVA, Chipotle Mexican Grill, CKE Restaurants, Compass Group USA, Five Guys Burgers and Fries, IPC/SUBWAY, Panda Restaurant Group, Raising Cane’s and Tropical Smoothie Cafe. FoodLogiQ’s reach extends across the entire supply chain to include food manufacturers such as Hain-Celestial and Seal the Seasons, food retailers including Whole Foods Market, as well as hundreds of growers, co-packers and produce marketers. Digital Signage Expo (DSE), the world’s largest international trade show and educational conference dedicated to digital displays, interactive technology and digital communications networks, announced the independently judged winners of its APEX Awards for 2018 at the 14th Annual APEX Awards Ceremony, Wednesday, March 28 at the Renaissance Hotel. McCann Systems and bluemedia took home the top honors of the night, winning the APEX Installation of the Year and APEX Content of the Year awards, respectively. The two overall winners were selected from the nine Gold award winners.